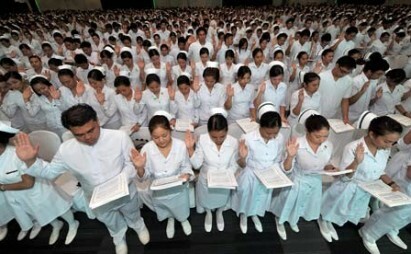 MANILA, Philippines – The Philippine Department of Foreign Affairs (DFA) has warned Filipino nurses against “email scams” offering fake job opportunities in Australia. In a statement released Thursday, the DFA said the Ministry of Health of the State of New South Wales (NSW) had issued a media statement “warning nursing graduates in the Philippines” of said emails. The electronic mails purportedly come from directors of St. Vincent’s Hospital and Liverpool Hospital in New South Wales “offering false employment opportunities with requests for payment,” the DFA said. “A spokesperson for the NSW Health advised recipients of the e-mail scams to disregard said e-mails and refrain from making payments,” the DFA added.